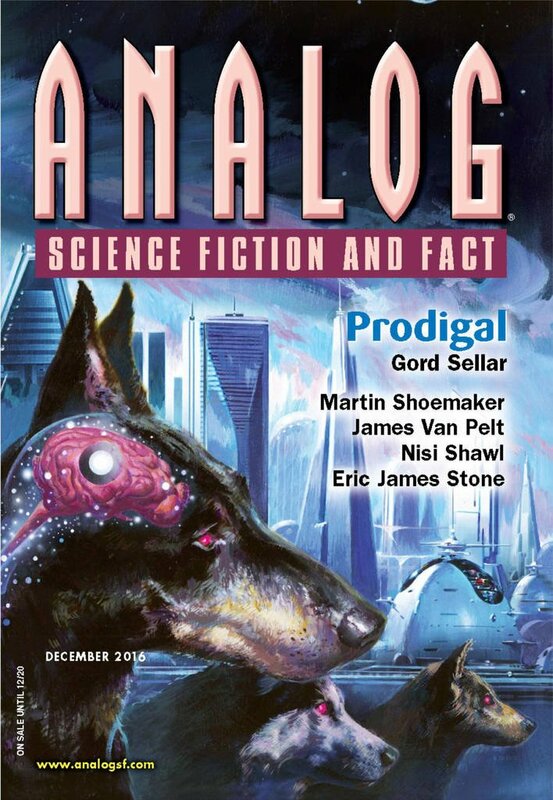 "Black Orbit," by Martin L. Shoemaker [bio] (edited by Trevor Quachri), appeared in Analog Science Fiction and Fact issue 12|16, published on October 27, 2016 by Penny Publications. Pro: It's a Hard SF/mystery story with an interesting puzzle to solve. Con: The story has endless infodumps and could be used as an illustration of why "show don't tell" is such an important thing for writers. The narrated feelings and emotions alone are enough to make this a painful read. It has lots of things that challenge suspension of disbelief too. 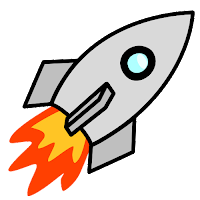 For example, the problem of sending back info is hard to buy; if they're worried about someone knowing a message was sent, then keep a satellite or two in secret orbits and have them relay the messages. It's impossible to believe Inspector Park could take months away from her supervisory job to go hunting for clues. And the whole "Trust Economy" got tedious really fast.